A few months back I wrote Is your event worth the price of the ticket? and explored how far event organisers would be able to charge high prices when there was an increasing move to free, self-organised unconferences. I quoted the organiser of one £300 two-day event as saying “Next year we are going to have to make it free”. Well, it’s happened faster than that. Last week Ten Alps – co-founded by Bob Geldorf – staged Digital Engagement – Empower Citizens and Government through Digital Innovation. Top ticket prices for corporates were £895, and people were reporting being asked to pay up to £15,000 to speak on a programme including Martha Lane Fox. The public sector rate was £195, and people were also being called with offers of £95 … so it wasn’t all top priced. Even so the costs went down badly with some folk who actually work at grass roots in digital engagement, and who were put out to see government departments and other agencies that promote inclusion lending their logos and support to what seemed a rather exclusive do. There were also complaints about the sales techniques as Anke Holst reports. The event was simply the start of what we feel should be an ongoing and changing debate, and whilst some people may feel our event was not what they wanted or expected, I am pleased that we took the step, and committed to the expense, of doing something. We felt the subject was not out there enough and if we have achieved anything then we have certainly started a healthy debate, with some excellent contributions as many of you have kindly recognised. … rather ignoring many other events including the fourth annual Digital Inclusion conference of a couple of months before, well documented here (disclosure, I worked on the social reporting there). I was at last week’s even for free, because with Amy Sample Ward I was helping the Media Trust Community Voices project launch their programme at a seminar. I confess I couldn’t face the Powerpoint-heavy early presentations, but I heard good reports of sessions later in the day. In my earlier post I tried to tease out some of the issues around events involving social media (planned or otherwise), including how far they are open or closed, with a pre-planned agenda or collaborative agenda setting process. The price people pay will depend on the value that each setup offers, in any particular context. High-value exclusive content will command a price. The difficulty Ten Alps faced was that they were pitching into a space where there is an increasing expectation of a gift economy around digital engagement content and activities. Quite a few people made a comparison with the free unconference organised the previous Saturday in Stoke on Trent by the Talk About Local team led by Will Perrin. As I reported here it was friendly, passionate, without Powerpoint, and full of extraordinarily interesting people. That’s what engagement is all about … and you don’t have to do it in #thatlondon. Digital engagement Minister to step down? in the Damian McBride smear e-mails, will return to the back benches. Tags digitalengagement | Permalink | Comments Off on Digital engagement Minister to step down? 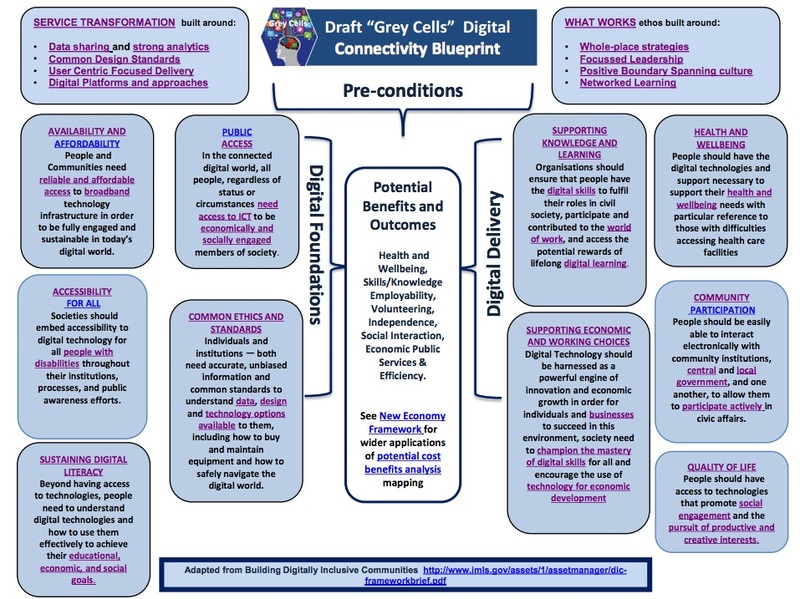 Helen Milner and the team at UK online centres are disappointed but undismayed at losing the Digital Mentor bid … they have just soft-launched discussion around the idea of a digital engagement manifesto. The aim is to create a discussion space, and probably an online community, to pull together a set of principles and how-tos that would be helpful across a range of issues from inclusion and adoption of technology, to e-participation and e-democracy. It should be of interest to anyone looking at how we can use social technology for social benefit. Together with Dave Briggs, who writes about it here and here, I’ve been working on the idea with Helen and Anne Faulkner. We’ll be developing the digitalengagement.org blog in the run up to the National Digital Inclusion Conference on April 27-28, and at the event reporting on discussion about manifesto themes. We are also looking at the idea of an online community, using Ning. anyone interested to come and get involved. The get involved reference links to a range of ways that people can contribute. In order to start discussion we’ll give some examples of the sort of principles we are thinking about, gather existing resources, do some interviews … and also ask people the most useful directions to take. Discussion on this blog and the digitalmentors blog, following the digital mentor announcement, showed that people are keen to find a common space for discussion, so it seemed sensible to get the digitalengagement site up as soon as possible. If you have ideas for the way a manifesto should develop, do join in over on the new site. I’m off holiday for a week, but will be diving in after that.